You have no idea how good it feels to be back in Delhi. I love the dry heat which is soooo much better compared to feeling sticky and oily. The weather in South India is such an awful feeling. A big salute to all the Beauty Bloggers from South India. I don't know how you brave the humidity and even wear make ups. I still have 2 months time before i move to my new place and until then i'll try to blog more often. The train journey was something i never want to go through again. My return ticket wasn't confirmed but decided to travel anyway because i missed Delhi too much. I sat 28 hours straight without napping. God bless Ipods- my companion throughout the journey. Now i feel like i have to sleep 2 days at one go just to make up for all the lack of sleep. Here are swatches of the new Bobbi Brown Art stick . I have the shade Electric Pink and will be putting up LOTD with review soon. I'm also in love with Cherry wood and dusty Pink. They come with Jumbo sharpeners. Right now i am posting only the swatches. Will put up the full review soon. By the way these art sticks are 2 in one-lipstick+blush. WHICH SHADE DO YOU LIKE? The pigmentation n texture of these"art sticks" seems really nice. All the shades are pretty. Dusty pink, bright raspberry n rose brown are my faves. Oh my! rest for sometime first doc! These are really nice and creamy. I saw one that my friend had. Biggest down point is that it needs sharpening but the better part is that they provide a sharpener. Lets see how they fare on the face. 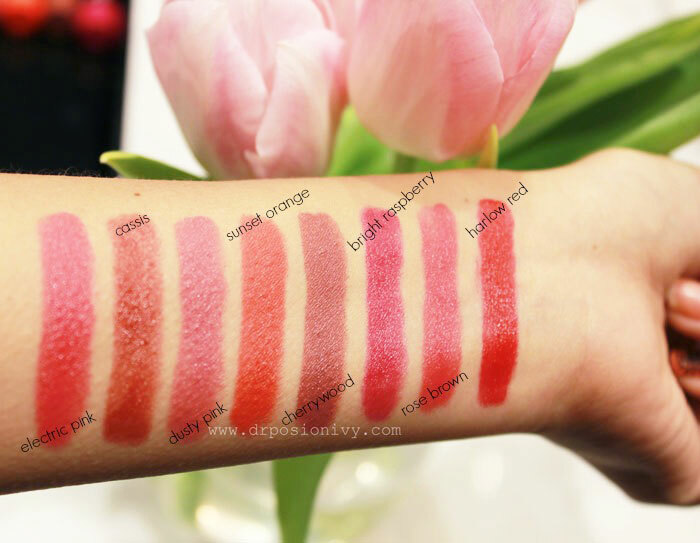 The swatches look amazing and alluring..
i like them bcz they r creamy and i hv dry lips.